Style Your Shape for Summer! Its The Time of Year that we've waited what feels like forever for, so there's no doubt that us girls are desperate to don our bikini's and summer attire! Banana Shaped - Banana Girls are typically a straight up and down shape with minimal amounts of curves - so it can be good to go for a 'fussier' swimwear style, as this will add the illusion of more curves! It can also be a good idea to choose a swimwear with ruffles on the thigh as on a 'Banana' Girl, this can create a more long-legged effect! Apple Shaped -Apple shaped girls tend to be bustier on top, with narrower hips! (Lucky You!). Its a good idea to opt for a swimwear style that will flatter and support your top half, whilst maximizing! Try choosing an under wired (or bra like) item! Its also nice to choose a swimwear with small details around the thigh - this will balance you out perfectly! Pear Shaped - You girls have got the booty we all long for - so embrace it! A hip High swim brief will make those jaws drop and some embellishment on your top half will balance you all out! If you are going to opt for a detailed swimwear then try to keep it one block colour so its not too fussy! Hour-Glass Shaped - Hour Glass Girls have the Curves we all envy and can rock almost any style! Opt for a cut out one piece to emphasize your beautiful hips or try out a vintage style two piece to show off your tiny waist! No Summer Outfit is Complete without a Statement Pair of Sunnies, So Hit the Shops and try on as Many Pairs as you can, They come in all shapes, designs and sizes so there really is something for any Girl! Here are a Few Tips about choosing the Perfect Shape Specs for your face Shape! Whatever you have planned this summer - have fun! Take lots of pictures, laugh lots, and smile more! What is your Favourite Summer Trend? I don't think I ever met a girl who didn't love Disney, we're all princesses at heart! 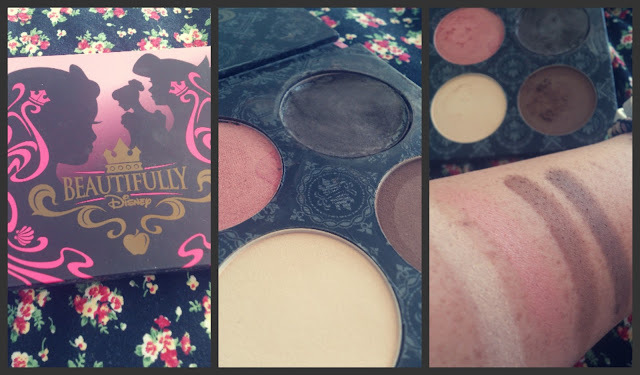 So of course, when I Visited my Local Disney store last week I was super excited to see that they were offering a new beauty range called 'Beautifully Disney' - and even better, it was all on sale! 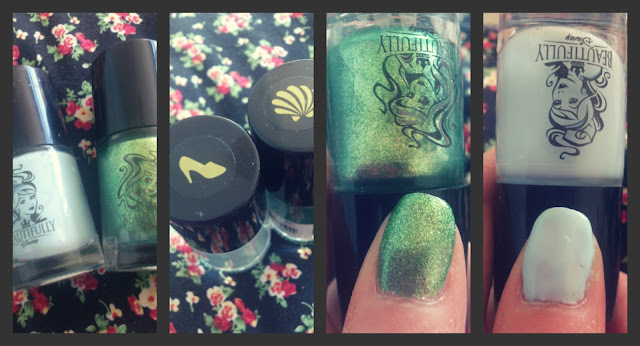 I Picked up some pretty items at amazing prices (you can visit the UK online store to shop the range here) and I want to share the magic with you all! I Chose this amazing Eyeshadow palette in 'Midnight Hour', it includes 4 gorgeous shades that can be easily blended for a perfect night time look! 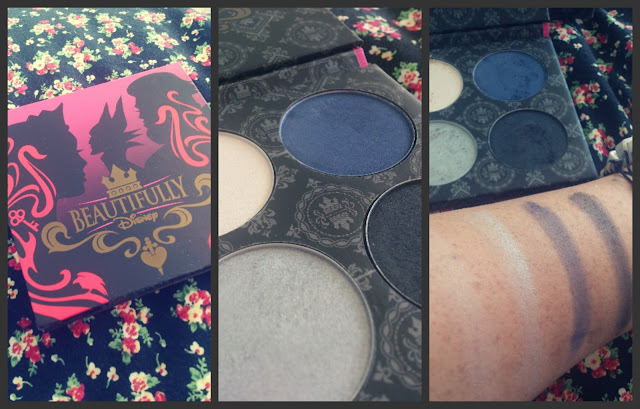 The shades in this palette are well pigmented and quite dramatic so it is essential to blend when wearing them! This was just £3 knocked down from £12 - what a steal! The packaging is wonderfully 'Disney' with images of iconic villains and a beautiful motif inside - I Love it! I also picked up this Eyeshadow palette (also £3 knocked down from £12), named 'Enchanted Kiss'. The shades in this palette are more neutral and better suited for a daytime look! These shades will make any eye colour pop - Giving you a perfect, wide-eyed princess look! The Packaging to this palette is just as cute, featuring images of iconic princesses with the same pretty motif continuing inside! This is one of my new favourites! 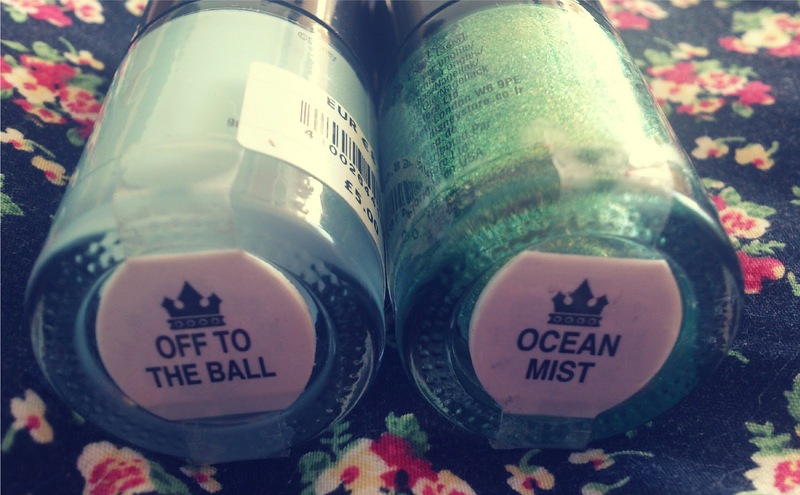 Both shades are just magical! I love the little icons on top of the polishes to give you an indication of which story they are inspired by! The polish has a lovely wide brush so the colour glides on smoothly and gives a flawless, even coat in just one application! 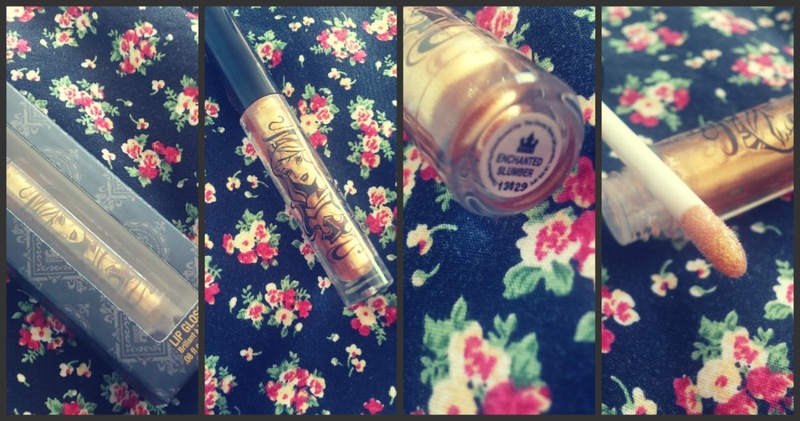 I had to buy this beautiful, Sleeping Beauty inspired Lipgloss, named 'Enchanted Slumber'! This was just £1.50 marked down from £5! I wont use this in everyday looks, of course, as its a little too bold for me, but it will make for great statement lips in upcoming projects of mine! I Used the shadows to put together a quick 'Enchanted' look! 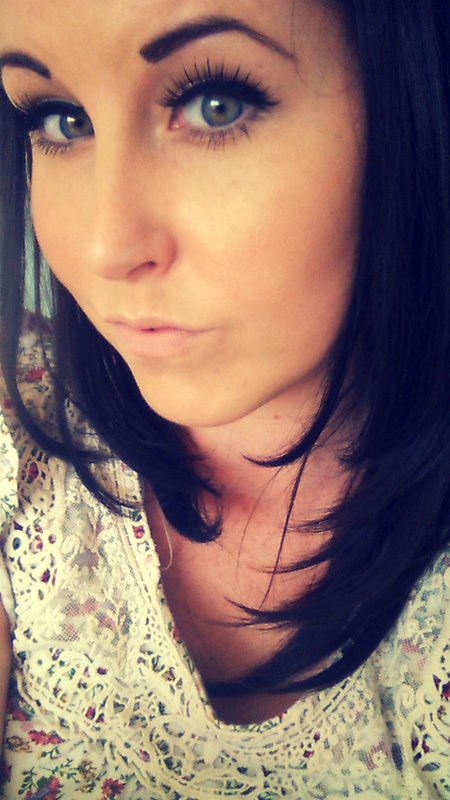 I always use primer before creating a bold look as it helps shadow to blend smoothly and last for hours! I started by filling my lid (up to the crease) with the lighter brown shade from the 'Enchanted Kiss' palette', I then filled out the crease line with the darker brown shade from the same palette and blended out for a smokey, cat-eye look. 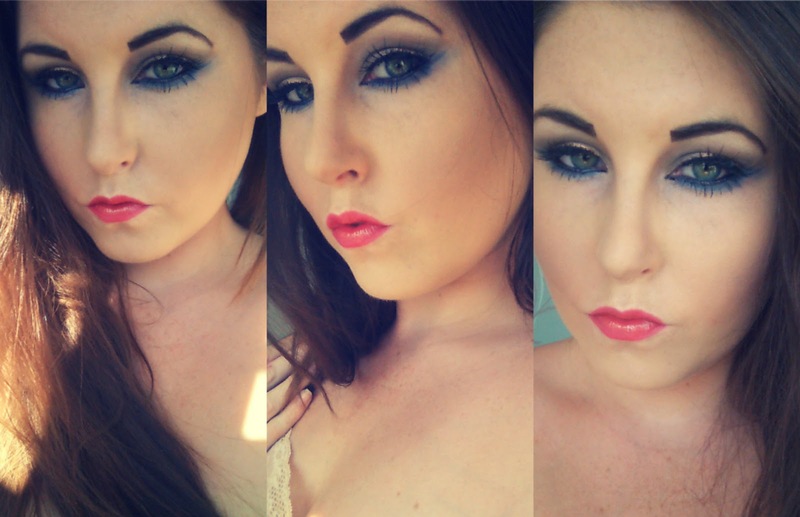 I created some Drama by making a > shape on the outer corner of each eye with the intense Black shade from the Midnight hour palette, added some of the gorgeous blue shade from the same palette under my eye, and finished by highlighting under my brows with the ivory shade from the 'Enchanted Kiss' Palette, and adding some black liner to my lower waterline. 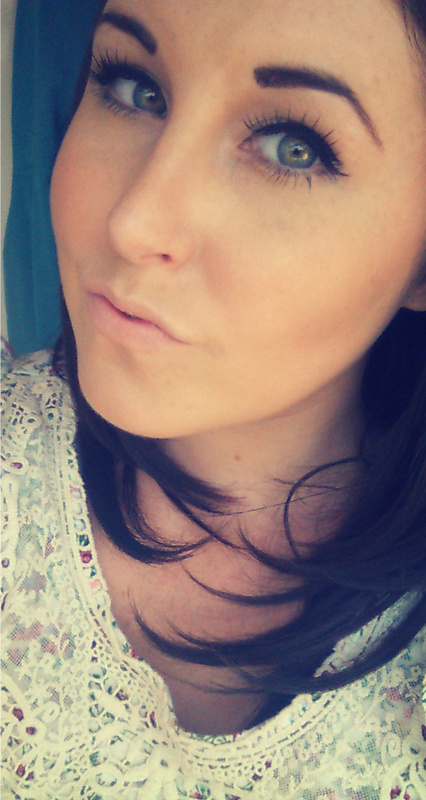 I created strong brows by filling them out with the the dark brown shade from the 'Enchanted Kiss' palette, and contoured down the sides of my nose and under my cheek bones with the light brown shade from the same palette. I then filled in my lips with a crimson lip pencil and dabbed some of the 'Enchanted Slumber' lipgloss in the middle of the lip for an ombre effect! Hope you guys like it && Show Me what Disney Looks You Create this Weekend! 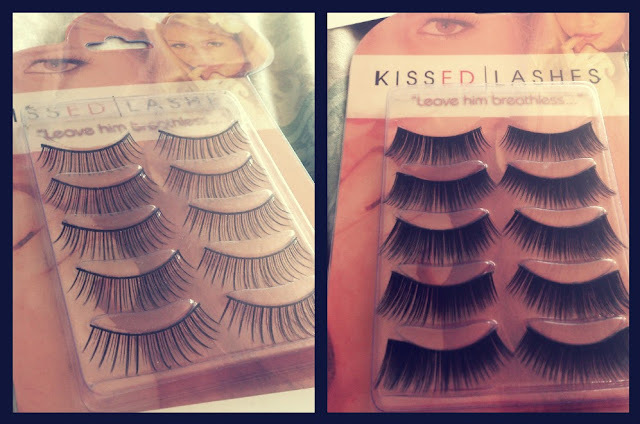 'Kissed Lashes' & Reader Offer! 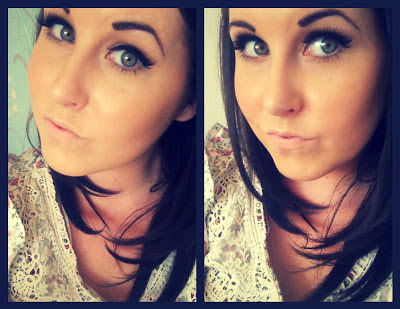 The Sun is Shining & the Weekend is Almost here - - Time to get Dolled up & Ready to Party! I don't know about you but False Lashes are always a part of My 'Going Out' routine, so I was Super Happy & Excited when the Beautiful Kelly of 'Kissed Lashes' contacted Me & told Me all about her Fantastic Range of Falsies! I had a look through Kelly's website (which is SuperCute by the way!) & totally Fell in Love - - it is a Paradise Playground for Girls who Love their Lashes & there Really is something for Everyone! 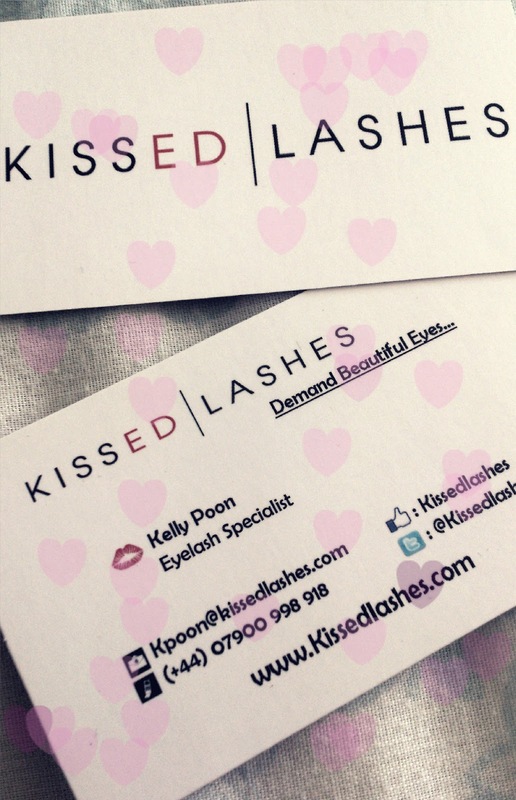 The Website is simple to Navigate, Full of tips & Advice (even some Tips for all you girls going to Prom Soon HERE) & it really showcases Kelly's Dedication & Passion to her Subject - which Filled me with Confidence in the Lashes! She even has Praises from Harrods & Selfridges!! I found it so Hard to Decide on which Lashes I should try but Eventually I chose 'The Natural One' & 'The Flirty One' - something for the Daytime & something I could wear on my Nights Out!! Perfect! 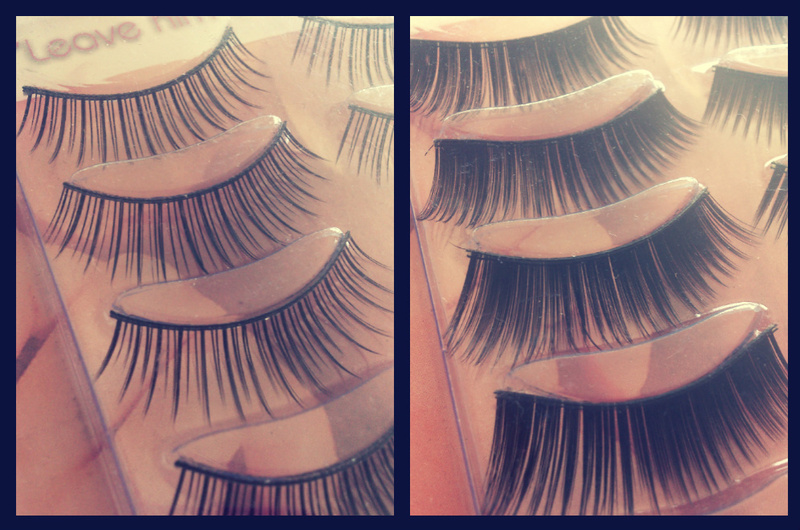 The Lashes Retail at £6.99 per Pack & each pack contains 5 pairs - that's just £1.40 Per Pair, what a Bargain! Each pair is also re-usable so they will Last you Forver!! There is even a Box of a Mixed set of Lashes Available for just £7.99 so you will Never need to Make the Tough Decision of which one to Buy again! This is how 'The Natural Ones' looked side on and downward - Beautiful! 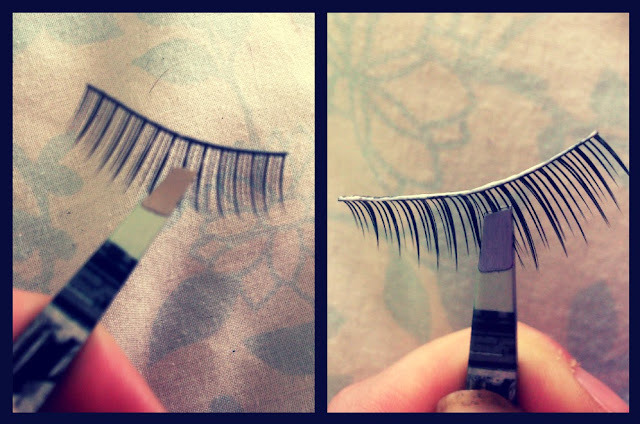 I am so Impressed with them - I've tried Many False Eyelashes before & had to Remove them after an Hour or so because they scratched My Eye, but this was Not the case with Kelly's - they were the Perfect Mix of Comfort & Beauty. I winged my Eyeliner slightly to make the Lashes feel even more Natural & I was so pleased with them, I feel like I could wear these Everyday! Kelly also Mentioned to Me that she likes to layer 2 pairs of 'The Natural Ones' for a full Impact, so I tried this & they felt so stunning (Pictured above)! I felt Wide-Eyed & Doll-Like and Loved it! They look Glamorous but not dragqueen-esk! Here is a look at 'The Flirty One' - One Word. Gorgeous! 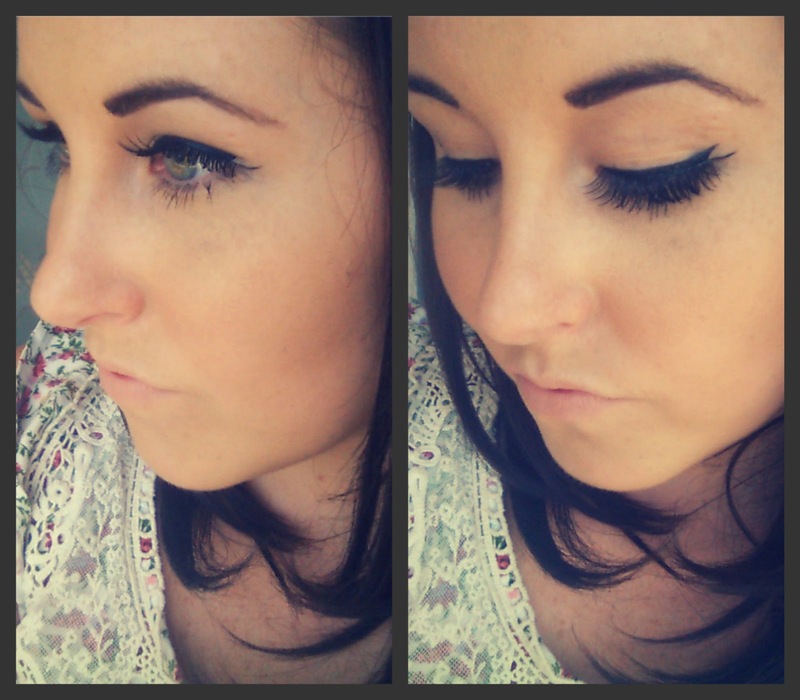 These are a More Full Lash which adds Drama & Definition to the Eye! I never usually wear Lashes as Full as these but I have to say I Love how they look, these will Definitely be my Go-To Lashes for any Night Out or Special Occasion from here on out! Here is how 'The Flirty One' Looked from above! They are so Perfect and Doll-like! I winged my Eyeliner out Again so I could Extend the Lashes and they looked so Beautiful! 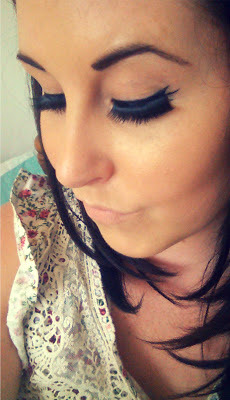 These are really like Princess Lashes! && as a Special Treat, Kelly has been very Kind and given all My Beautiful Readers a Special Offer! 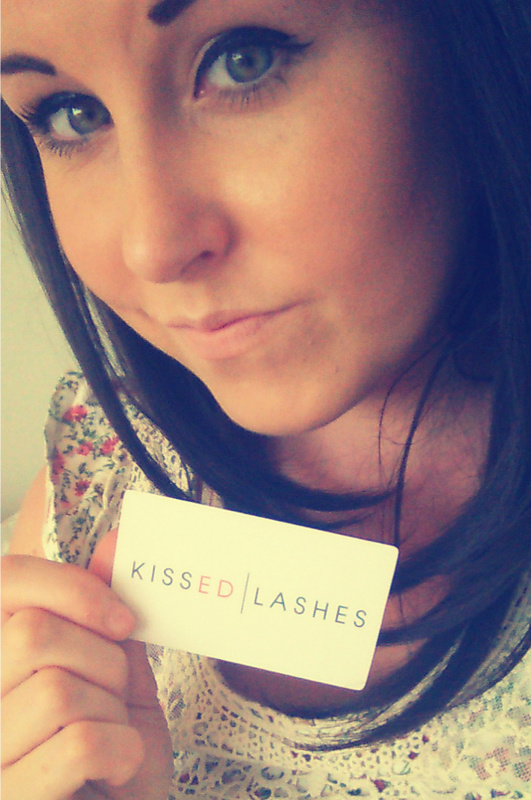 All you need to do is Head on Over to Kelly's website HERE, spend just £10 on any of Your favorite Lashes & Enter the Code 'Emma' at the Checkout (you will see a message saying 'Coupon code applied successfully') & you will Qualify for a Free Gift! Affordable, Pretty Lashes & a Free Gift - what More does a Girl need? !